There is apparently a letter that has been circulating since 8 July. An article by Alvinology reported that a foodie by the name Sebastian Wickström has lashed out at Hong Kong Soya Sauce Chicken Rice and Noodle for ‘dirty business tactics’. He claimed that the local Michelin-starred hawker stall has given customers a false impression that there is a long queue. You can check out his full rant HERE. Initially, I wanted to put forward my case immediately after reading his letter. However, I decided to wait till a few days after that to actually organise my thoughts before I become as emotional. You can say I backside itchy, not my problem to meddle with but still trying to be a busybody. Before I go on, I would like to clarify that I am not an employee of the aforementioned food establishment nor a spokesperson for every hawker outlet in Singapore. I am merely using my experience as a hawker stall assistant to debunk the allegations put forward by Mr. Wickström, and to bring about a clearer picture of how hawker stores operate in Singapore. In Singapore, we have a habit of queuing. We love to queue, whether it’s for food outlets with Michelin star, hipster food stalls at bazaars, mega sales or even for plushies at some fast food restaurants. There is an unexplained human behaviour instilled in most Singaporean: We just that willing to wait to get the full and authentic experience of the fanfare, nevermind the actual quality of the food. Therefore, it is no surprise that food establishments like HKSSCRN have long queues. I waited in the queue before and I do admit that it felt like I could be waiting there forever. I personally love their soy sauce chicken – I tried it twice at the Chinatown Complex outlet and once at their franchise outlet a street away, hence I find that it is worth the wait. There are some food establishments that despite all the fanfare, the food tasted meh. I am someone who dislikes queuing for food but I make it a point to check out whether the food actually worth all the waiting time. I consume food, but I don’t like my time to be consumed unnecessarily. Yet, no one forced us to queue (unless it’s your job to queue if you are an employee of a certain delivery company or if you’ve lost a bet to your friends/colleagues). Come on, we are all willing parties. It’s not an ‘abuse of trust’. I think there ought to be such understanding established between both the operators as well as the consumers. I am glad that you’ve got the understanding that “serving regular customers in a long but natural line with long waiting times is not necessarily bad and a lot of hawker stalls have long lines”. However, one thing you don’t understand is that whether queues are natural or whether they are not, by your definition, they still form the customer base. When there’s demand, there’s supply. Small enterprises like hawker stalls work according to such principle. I get it, the owners of the Hong Kong Soya Sauce Chicken Rice and Noodle must strive to keep the line long, it’s a great sales technique but I want people to be aware of their dirty business tactics and unfair treatment to their loyal customers. I understand Mr. Wickström’s frustration over having to wait for an unfairly long period of time for what he called “an illusion of exclusivity and superior product”. However, translating your anger to such allegation just gives others the reflection that you are sour, very very sour. 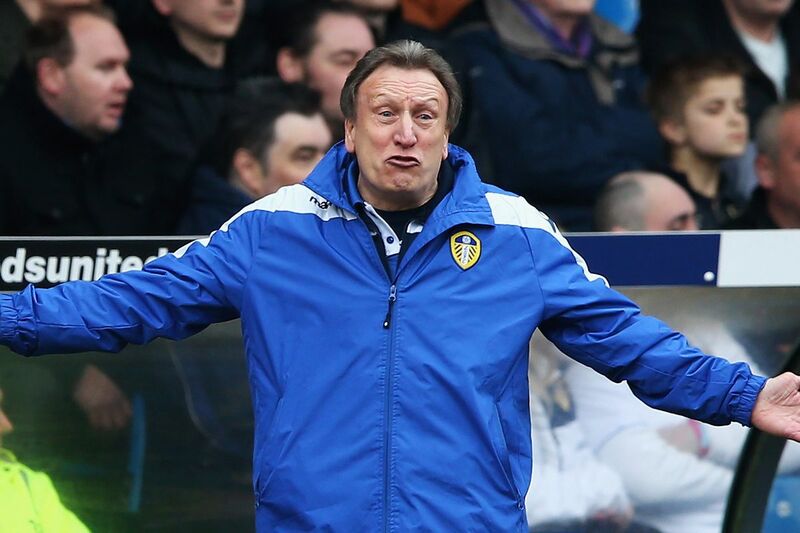 You sounded like Neil Warnock alleging Rafa Benitez of corruption when the latter fielded a weakened side against your relegation rivals and then lost the game, resulting your team to be relegated. You wouldn’t have put yourself into such demise if you had played consistently good football throughout the season. Likewise, if you didn’t decide to jump on the bandwagon in the first place, you wouldn’t have put yourself into all these ‘disappointment’. If this is considered a dirty tactic, I think many hawker owners across the country might have to feel guilty about this because most of them do not set an ordering quota for on-site ordering. That’s from whatever that I know. You might argue that HKSSCRN is internationally recognised through its Michelin accolades, it has the ability to amass a consumer pool that can way exceed other establishments. Hence, they have more customers to take account for. No. I have witnessed other food stalls having to respond to bulk orders as well. They ain’t Michelin rated stalls and there are actually quite a number of people waiting in the queue behind. It is inevitable that there are occasions where an outlet will face on-the-spot bulk orders from time to time, more so if it’s famous. I mean, these are the kind of dishes that you can boast about having on your dining table when your family or kakis come over for a gathering right? Handling on-the-spot bulk orders are not easy as well. There is no preparation for it and the food preparers will have to rush out the order. The stress that comes along with it can be comparable to trying to finish your 20 pages proposal within the stipulated duration on an hour. Many hawkers want to serve as many customers as they can – whether those who are queuing ‘virtually’ or ‘on-site’. I believe that they put in the effort to speed up the process so that everyone can get their food as fast as possible. You can say that they can refuse bulk orders like these. But most hawkers are very down to earth people. It is not common for them to receive large orders and it is a big deal to them. They need the income to pay for their capital and for their families as well. These are opportunities and if it can make their life better, why not? To be honest, I’ve queued for HKSSCRN twice. In both occasions, I did not once encounter bulk orders that held up queues like what Mr. Wickström mentioned. Although I can’t safely say that such orders aren’t an everyday routine for them, but I think it’s a matter of luck. Another thing that is trending currently is the use of third-party delivery service. Many people are looking to these services to get their food without stepping out of their homes or offices. This is a business opportunity that no one – whether you are an SME (yes, I consider food stalls as SMEs as well) or large corporation – would not want to lose out on. Giving your potential consumers the convenience of avoiding the inevitable queues and getting the delicacies delivered into the comfort of their homes/office, you will be attracting more businesses and that means more income. Like I’ve mentioned, these hawkers have families to feed. You can’t blame them for jumping onto such opportunities. More orders mean more work and do you not know most of these hawkers developed health problems such as arthritis due to all the efforts put into those plates or bowls to delicacies on your dining table? Definitely, Mr. Wickström did in fact provided us with something to ponder about. Should queues be better managed? Are there other options that we can look into so that consumers need not wait in the queue for so long and to reduce the stress on the hawkers? 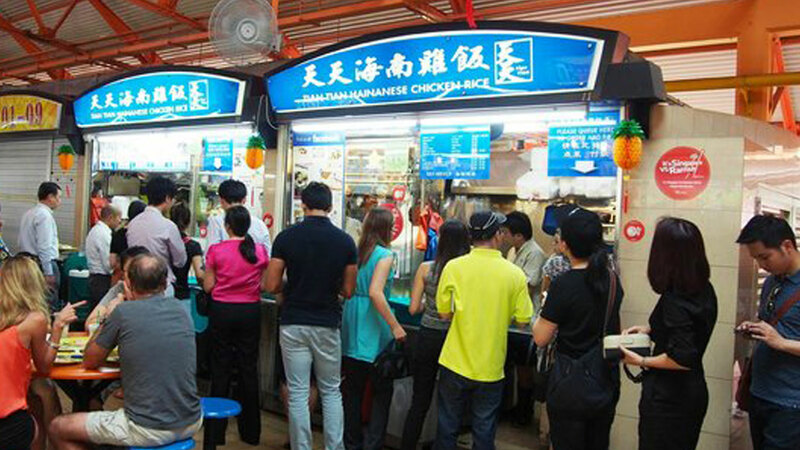 TAKE YOUR Q-NUMBER: Is it feasible to introduce queue number system to hawker stalls as well? The implementation of queue numbers system could be one way of solving the issue right here. There are some stalls that have actually implemented it and there’s no sign of queue. Recently, there has been a rise in hawker stalls following the footsteps of the bigger F&B players by introducing the food buzzer system. Such system will notify customers through the buzzer provided to them without having to keep a constant lookout for the queue system display. However, the cost of implementation has to be factored in as well. Whether or not these actually will increase efficiency and whether the stall owners want to embrace such technologies will be a total issue altogether. Yet, I think in order to keep the hawker culture well alive into the next decade, it will be good if stall owners could look into the field of technologies to better equip themselves. I am not writing this to pick up an argument or whatsoever. As mentioned earlier, I just want to clarify a few things with regards to the hawker businesses. Your acrimonious allegations might not have gone down too well with me, but I thank you for providing something useful for us to think about. You might not be the only one complaining about the queues and the inefficiencies. There might be flaws in our systems and it’s important that we can find ways to counter them to enhance local hawker experience. Meanwhile, I extend my invitation to you to try out other famous hawker stalls not rated by Michelin (there are few lists available on Seth Lui, Miss Tam Chiak and The Smart Local for your references). Hopefully, you won’t encounter bulk orders from anyone ahead of you when you are queuing up for your food again. 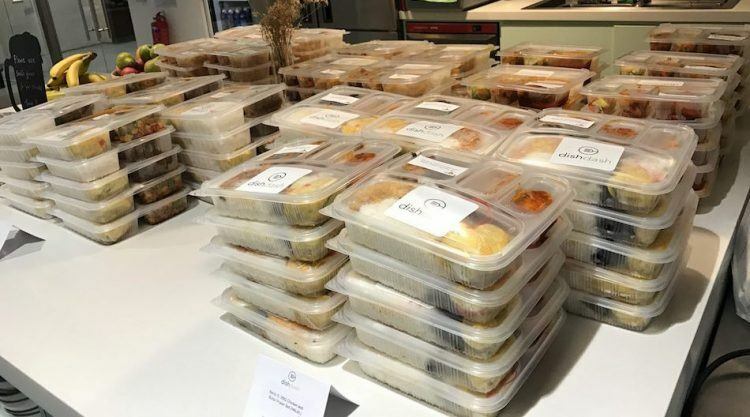 Of course if you don’t want to queue or think that it’s a waste of your time, there are plenty of third-party food delivery apps out there which you can download. 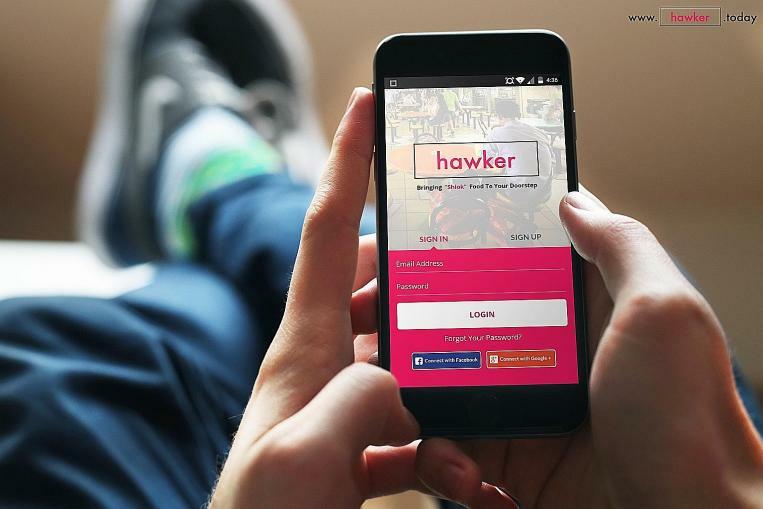 Deliveroo, FoodPanda, UberEATS, WhyQ, yiHawker – just to name a few.